March Madness BBQ Competition Practice | This ain't the Minor Leagues! 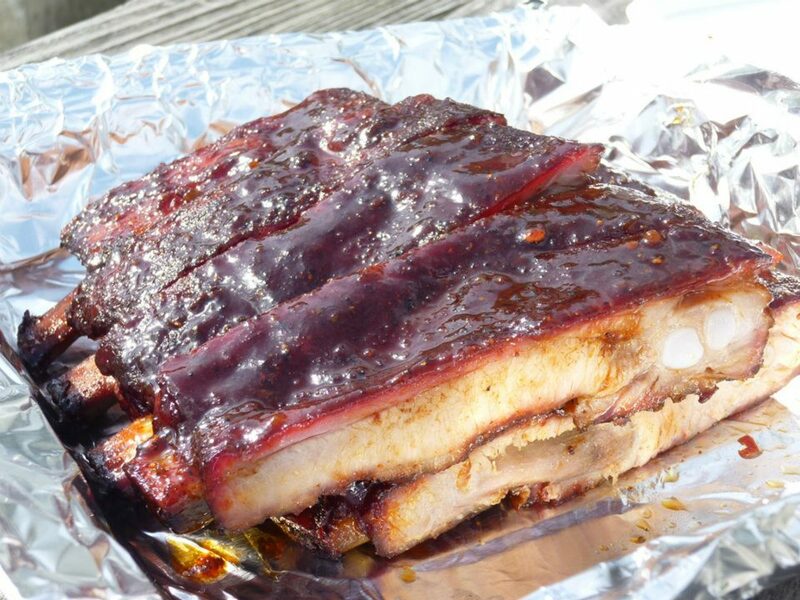 March is definitely Spring training season for competitive BBQ enthusiasts. Sure, there are a few comps already underway, but lots more are to come. I’ve been trying to tweak my backyard comp recipes into KCBS flavor profiles. A few changes were made, but I can only be certain that my flavor profile wins only when I start competing. So far, I’ve practiced with the chicken, ribs and brisket categories. Pork will come later and a full mock practice competition will be staged soon. The mock comp will resemble being at the contest with the same turn in times, so boxes with greens are required here. The evidence is here before you and I’ll post more as I continue to practice for our first KCBS event on May 11-12. Art: Here’s a honest opinion. 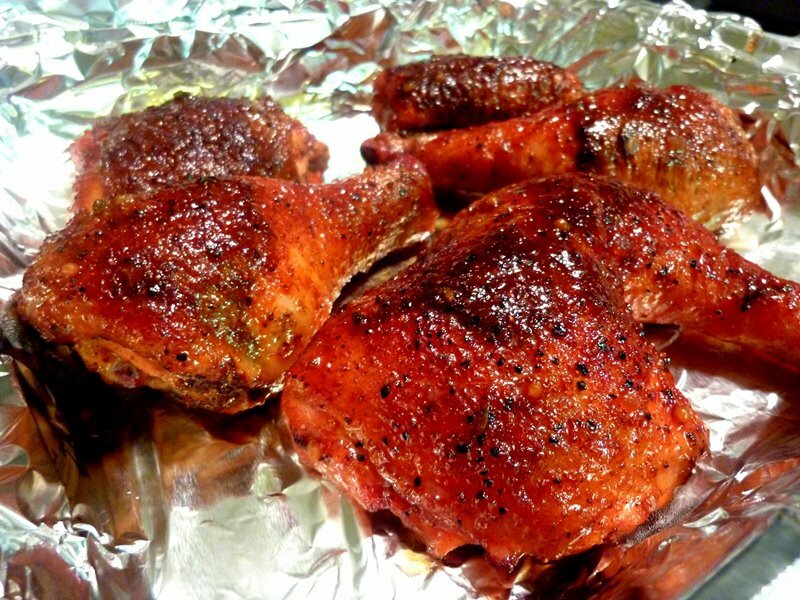 Chicken looks GREAT, was the skin bite though? 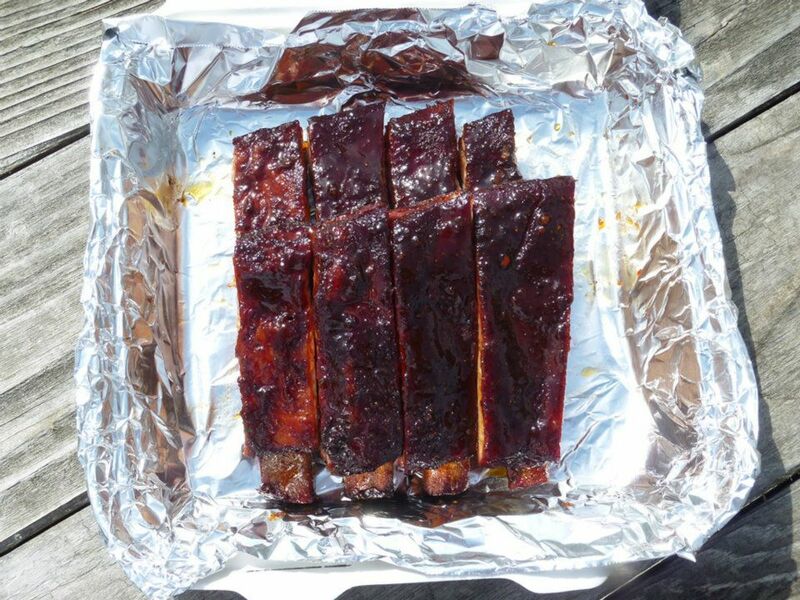 The Ribs look’s great also, the only problem I see is the 2 on the bottom right miss sized. the other 6 look real good. The Brisket I’ll be honest I’m not sure. Looks over done and I’m not liking the color on the front piece. also not seeing much of a smoke ring. 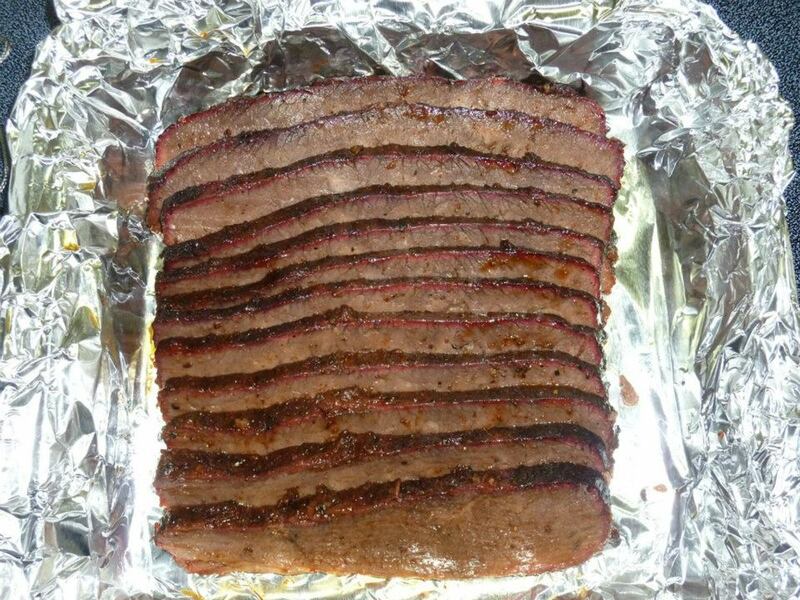 I know it’s not suppose matter, but I still think it does when judged with others that have a strong smoke ring. Thanks for the feedback Don! It’s a good thing it’s only practice. I always told you…I’m still learning how to BBQ. Pingback: Summer Comp Practice | This ain't the Minor Leagues!